Some freshman Democrats see an opportunity to be ambitious this legislative session. But more seasoned lawmakers suggest a more measured approach. By the end of the Texas Legislature's 2017 regular session, Democrats in the House were beleaguered. "The State of Texas remains a deeply red state; the House’s Republican majority and slate of Republican statewide leaders are a reflection of our state’s desire for a conservative approach to governance," said state Rep. Dustin Burrows, a Lubbock Republican who chairs the House GOP Caucus, in a statement to the Tribune. "What makes this session unique is not the number of Democrats or Republicans, but the fact we’re all united behind the same priorities to reform Texas’ school finance system and provide meaningful property tax reform for Texans." In both the school finance reform and property tax debates, Democrats have already laid down a few markers. 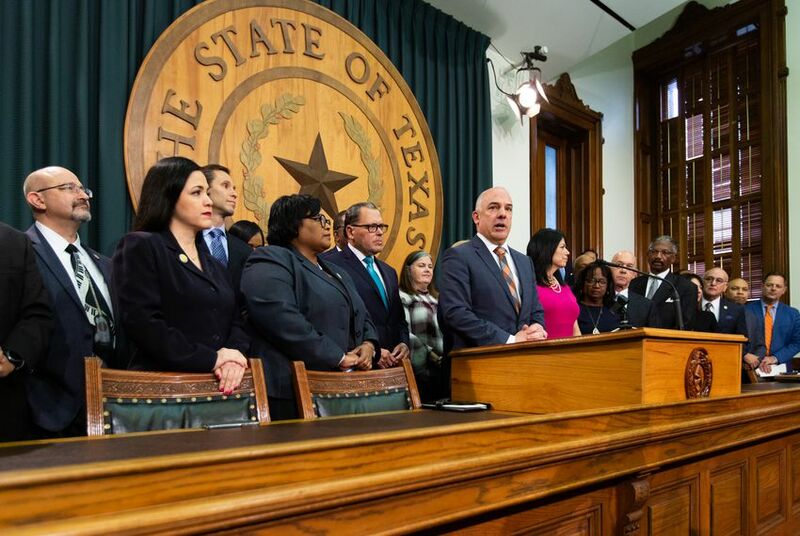 With the former, party leaders want reforms to include addressing rising health care costs for teachers and expanding pre-K for Texas children. With the latter, they’ve already written off the GOP’s proposal to require voter approval for local property tax increases over 2.5 percent as “a nonstarter.” House Democrats have yet to put forward their own proposals, but they’re expected to do so in the coming weeks. "We're not going to agree on everything"